Thus, the method consists in bringing the Shas to the surface of the skin by rubbing or scraping quickly using a small spatula jade or horn with rounded edges on a well-oiled skin. Friction can evacuate energy and circulatory congestion or a general inflammatory condition. Gua Sha is the art of hunting the bad mood. 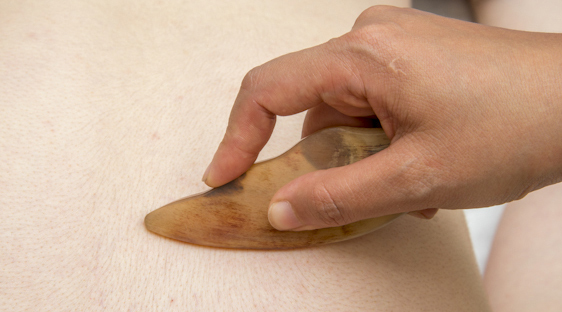 Gua sha is practiced in all three Lanqi Parisian massage institutes.